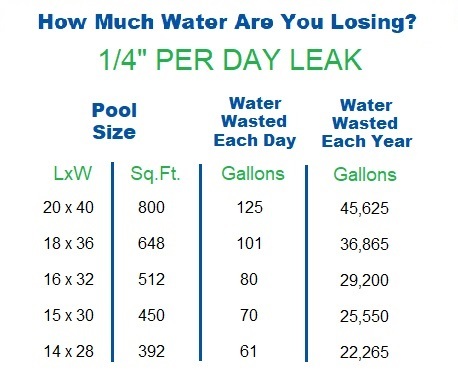 Losing water? It doesn't have to be this way. Leak Detection is one of our specialties. We have tailored leak packages to fit every need and price range. All backed by warranty and including a full report. Dye testing involves a complete and thorough search for holes all throughout the entire pool shell. Holes can range in size from a pinhole up to several inches in length. By pressure testing the lines we can verify if a line is solid or broken. Once we determine a line is broken, the break is then located by listening to the ground. We also offer a "Targeted" leak detection starting at $99 if you have a strong feeling where the leak may be, such as the water loss stopping at the bottom of the skimmer or tile. In a targeted leak detection, we check the skimmer, skimmer opening, and tile line. If nothing is found at these points we would need to proceed to more comprehensive testing.